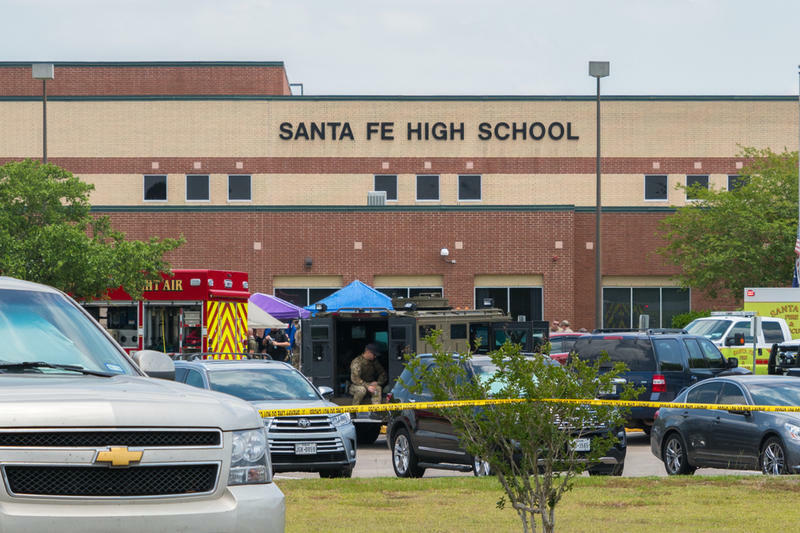 Law enforcement officials respond to the scene of a shooting at Santa Fe High School on May 18. 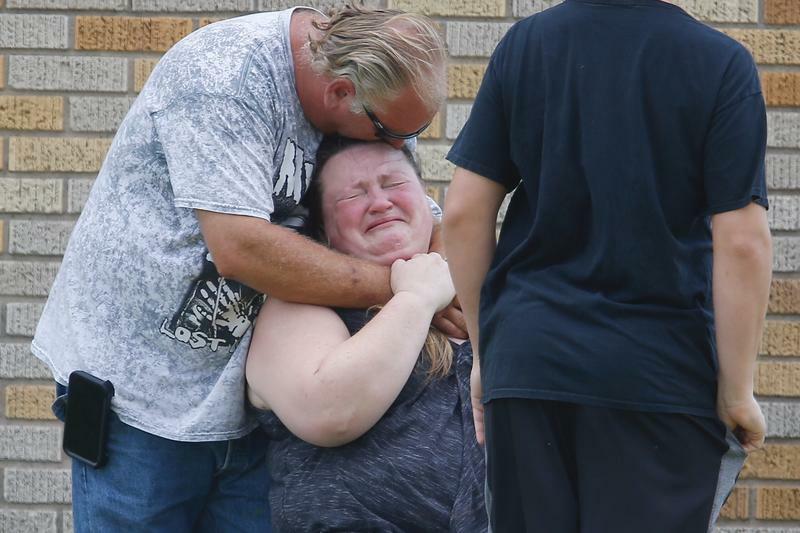 It’s just one way heightened security is shaping school in the Santa Fe Independent School District after a mass shooting in May killed 10 people and wounded 13 others. More than 4,000 students in the rural district start class Monday. Holder said she pushed for the metal detectors and is happy with the added security, which includes more police officers, a more secure lobby, and panic buttons and new locks in classrooms. Still, other families have said the upgrades — worth more than $1 million — make the campus feel like a fortress and hope school will feel normal. The district also plans to have mental health teams on campus throughout the year to assess threats and work with police to prevent any incidents. “We ask that our community continue to keep our victims and their families in their prayers as this will be a difficult time for all. We are blessed to be a part of such a giving and strong community that continues to stand strong together,” Patti Hanssard, assistant superintendent, told the community last week. The changes come as districts across Texas look for ways to harden security. 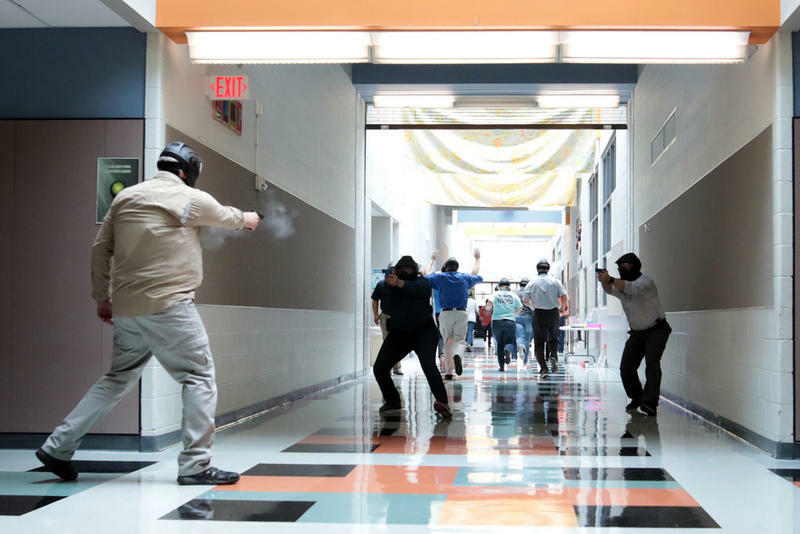 State lawmakers recently recommended more mental health resources and more funding to arm some school staff as ways to make Texas schools safer. More districts are opting to do that with the state’s school marshal program, so staff can carry concealed weapons and respond to an active shooter, if necessary. Holder said that it’s also up to parents to stay involved and not feel complacent. She plans to volunteer on her days off as a parent patrol at Santa Fe High. “Because being involved is what’s going to help us stay on our toes and keep our kids feeling like they’re safe," she said. "[It'll also show] the ones that may have a tendency to not want to follow that they’re being watched more carefully."